“Although I would never want to relive that period of time ever again, I am thankful that it has made me much more of a stronger human being”. Standing before a group of about seventeen to twenty students, Ji-li Jiang, author of Red Scarf Girl spoke these words with pride, courage, and no hesitation. 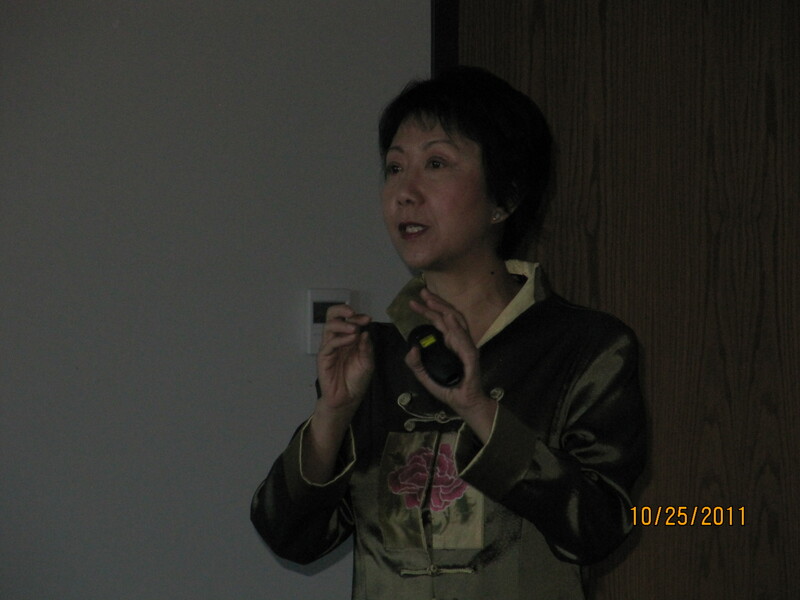 I attentively listened, as the author retrieved her childhood, during China’s Cultural Revolution in the 1960′s. Her words were clear, as she explained the haunting memory of waking up to her mother ill, her grandmother weak, her father detained, and possibly even killed. Her family had faced peril every single day, and surviving a day without being tormented by the Red Guards would be considered, “a good day”. Ji-li had experienced such a difficult period of time, yet without a doubt, she agreed that the Cultural Revolution had shaped an unyielding, resolute woman out of her. By recieving a chance to meet Ji-li, I was able to determine that she is a hero within a victim of such an abominable period in history. Before the assembly, I was having trouble connecting Ji-li’s situation, with another one that had ever took place in the past. I kept thinking, and it was only after Ji-li mentioned the terms “Chairman Mao” and “brainwashed”, that my mind was able to project on Hitler and the Holocaust. Like Hitler, Chairman Mao had manipulated many people to have them follow what he believed in. A majority of people forced themselves to believe that what both these powerful figures were causing was beneficial, while there were many people that disagreed, but wouldn’t dare to stand up and risk their lives to confront these persuasive tyrants. Chairman Mao and Hitler were lions, while the people were their prey. The only thing is, they both convinced others that they were their friends. In sixth grade, I read a book called The Diary of Anne Frank. I felt like Ji-li and Anne lived through very similar situations. They were both forced to make sacrifices in order to protect themselves, as well as their families from getting killed. Every day, they would face fear, worries and emotional pain. They never thought that their lives would be that same, yet they knew that if they lost hope they would become even more weak and miserable. They were both victims of two horrific periods of time, and as they fought through tears and agony, they were redeeming themselves into heros. It was an honor to be fortunate enough to meet Ji-li. I was able to hear her story, and truly be inspired. I believe that what she went through allows others to persevere when things are tough, and never lose hope. It is so wonderful that we are able to meet heros such as Ji-li, and Edgar Krasa that teach us that hard work, dedication, but most importantly, always believing in yourself can withstand the forceful power of any dictator. With determination, a victim can transform into a hero. Simran, your essay was really good, and I liked how you made connections. This is a well-written and thought-provoking piece. I’m so glad to see that you’re making connections with books you read in sixth grade!